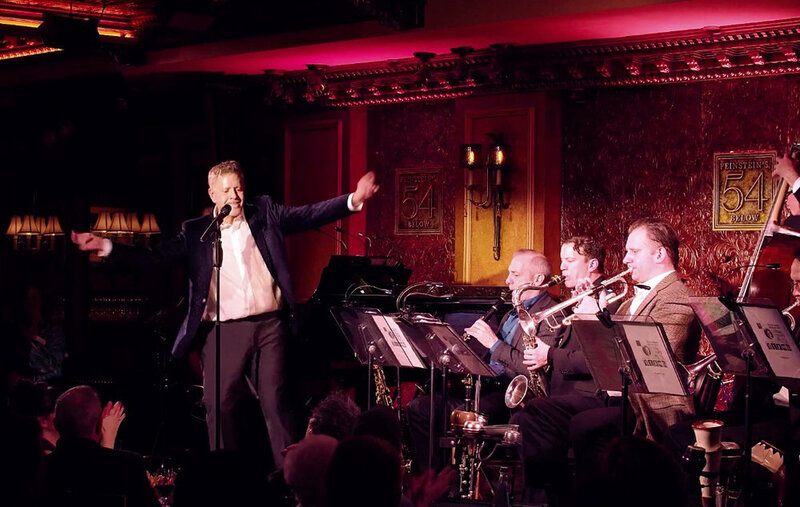 Highlights from the Fred Barton Broadway Band's appearance at NYC's premier supper club, Feinstein's/54 Below, January 4, 2019. Featured performers in order of appearance: Karen Murphy, Michele Ragusa, AJ Hunsucker, Karen Wilder, Jesse Luttrell, Fred Barton. The Fred Barton Broadway Band is devoted to classic Broadway songs, rarities, and swing novelties. Fred Barton’s Broadway Band is devoted to Broadway and Swing Era Hits & Rarities, showstoppers all, and today’s best dynamic performers of the Old School who know how to stop shows with them. Performers have included Beth Leavel, Joshua Henry, Anita Gillette, Brent Barrett, Karen Ziemba, Vivian Reed, Sam Harris, Pamela Myers, Karen Mason, Klea Blackhurst, Karen Murphy, Luba Mason, and Lee Roy Reams, among many others. The Fred Barton Broadway Band performs regularly at New York’s premier supper club, Feinstein’s/54 Below, did a number of concerts at the Michael Schimmel Center at Pace University, and has performed at numerous venues in the New York area and on the road. The Fred Barton Broadway Band appeared with Jesse Luttrell on his debut CD, and the accompanying music video, both available on all platforms. Fred’s Band also appeared at 54 Below with Vivian Reed, Luba Mason, Danny Gardner, and Tari Kelly, presenting the score of the upcoming Broadway musical ONE FOR MY BABY, the New Harold Arlen Musical. Upcoming performances include Jesse Luttrell: Showstopper with the Fred Barton Broadway Band, May 3, 2019 at Feinstein’s/54 Below, and The Fred Barton Broadway Band: Broadway Hits & Rarities and Swing Novelties, cast to be announced, September 6, 2019, at Feinstein’s/54 Below.